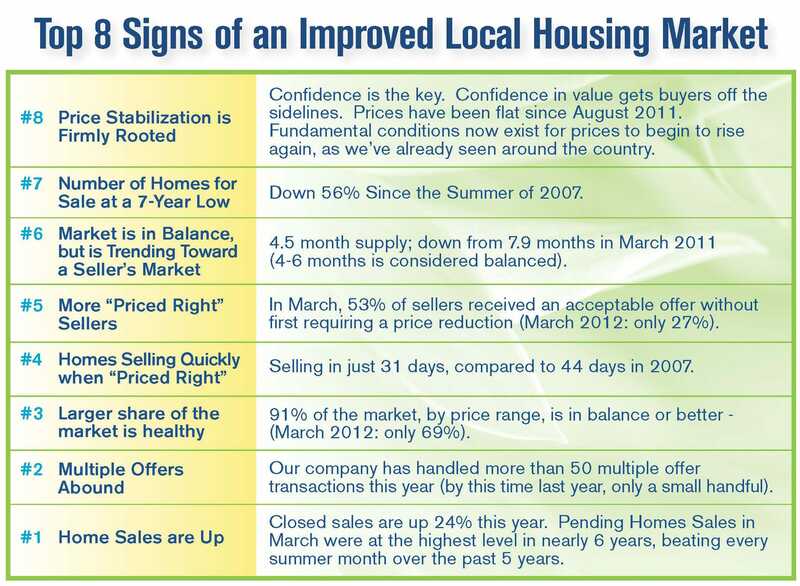 Coldwell Banker shares the top eight signs of the improved local market. The number one sign of our improved market is certainly the amount of sales. March brought great news: Buyers put the second most number of homes under contract since July 2007 (the top month was April 2010, when buyers were rushing to get the federal home buyer tax credit that expired at month-end). Put differently, March beat every summer month over the past five summers. To give some context, March sales are typically 30% lower than August sales. This is a great sign that buyers are back. Buyers see that prices have stabilized. This gives a growing pool of buyers the confidence they need to make that home purchase. These buyers, in turn, have helped set the fundamentals needed to return to increasing values. It will be price appreciation, not just stabilization that will spark truly broad consumer confidence. As we have said before, one month does not make a trend. The great news is that home sales have been steadily on the rise since the summer of 2011. Now we are at the critical point where sales are outpacing the number of new homes coming on the market. Inventory is at a seven year low, while sales are at a six year high. More buyers, coupled with fewer homes for sale, is a recipe for multiple offers on properties. In our company alone, we have been involved in more than 50 transactions with multiple offers since the beginning of the year. Last year at this time there were only a few that had occurred. 2013 continues to have a lot of encouraging signs. Be sure to check back here, where we will continue to share other positive local trends over the next few weeks. Statistics compiled by Coldwell Banker Evergreen Olympic Realty, Inc. from Northwest Multiple Listing Service Data. 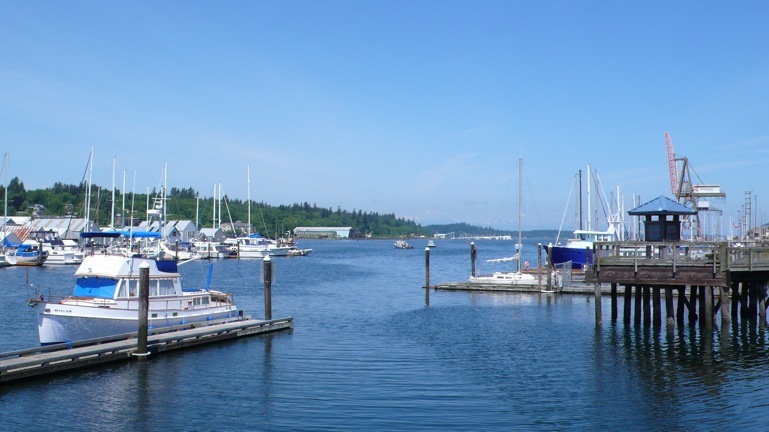 Statistics not compiled or published by Northwest Multiple Listing Service.